The top, and 2 bases detach easily for easy transport & storage. Each base weighs 25 pounds, and the top weighs 40 lbs. It works off a battery or standard wall plug. The color changes with a remote control. The top, and each base can be different colors, or all the same. 24" Wide x 60" Long x 36" Overall Height. Top consist of a plywood core with white acrylic topper. White PVC bumper edging. Bases consist of internal aluminum frame with white polycarbonate panels. 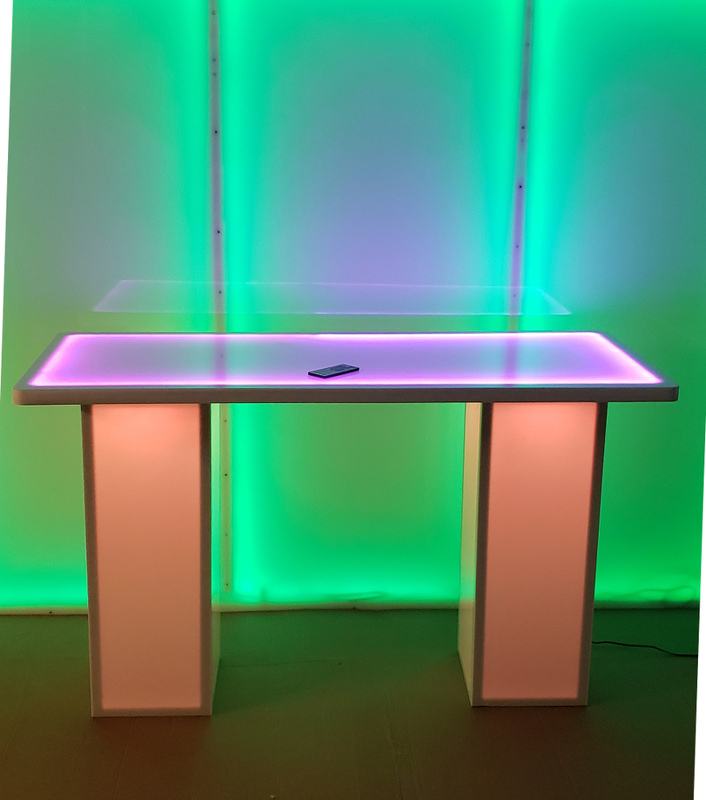 Great for trade show displays, Illuminated DJ tables, Retail Displays & more! Custom sizes & heights, as well as portable or fixed available.